* A humor-filled call to recover the most neglected hallmark of faith! 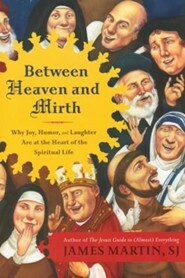 Showing you how joy runs like a bright thread through a believer's life, Martin offers insights and teachings from Scripture, the lives of saints, spiritual masters, and his own life. His upbeat stories, quotes, sidebars, and footnotes will encourage you to delight in the Lord. 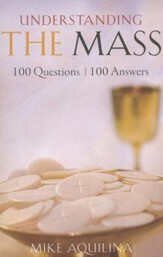 272 pages, softcover from HarperOne. 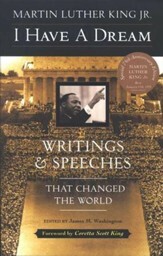 Martin Luther King, Jr.; James Washington, ed. 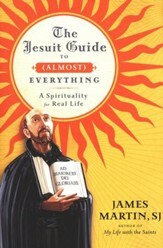 From The Colbert Report’s “official chaplain” James Martin, SJ, author of the New York Times bestselling The Jesuit Guide to (Almost) Everything, comes a revolutionary look at how joy, humor, and laughter can change our lives and save our spirits. A Jesuit priest with a busy media ministry, Martin understands the intersections between spirituality and daily life. In Between Heaven and Mirth, he uses scriptural passages, the lives of the saints, the spiritual teachings of other traditions, and his own personal reflections to show us why joy is the inevitable result of faith, because a healthy spirituality and a healthy sense of humor go hand-in-hand with God's great plan for humankind. Rev. 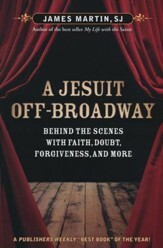 James Martin, SJ, is a Jesuit priest, editor at large of America magazine, consultor to the Vatican's Secretariat for Communication, and author of numerous books, including the New York Times bestsellers Jesus: A Pilgrimage, The Jesuit Guide to (Almost) Everything and My Life with the Saints, which Publishers Weekly named one of the best books of 2006. Father Martin is a frequent commentator in the national and international media, having appeared on all the major networks, and in such diverse outlets as The Colbert Report, NPR's Fresh Air, the New York Times and The Wall Street Journal. Before entering the Jesuits in 1988 he graduated from the Wharton School of Business. I'm the author/artist and I want to review Between Heaven and Mirth.